"When I was 6 years old, I began to go for an hour every day, before school had started, to work with a speech therapist who taught me to put my hand on her throat, and my throat, and then focus on matching her vibration as she would make a sound, because I had to learn how to talk. One of the things I noted right away was that when we matched vibration, I became really connected with her. It was a feeling of connection in my heart, a feeling of love that I would feel for her in those moments." Myron Eshowsky is a shamanic healer, mediator, consultant and author who was born with congenital severe hearing loss that he learnt to adapt into a skill for deep listening. He serves currently as the co-director of the Social Health Care Program for Syrian Refugees and Families -- based out of Jordan, this program provides trauma healing and local capacity building services for families displaced by the war in Syria. What follows is the edited transcript of an Awakin Call with Myron Eshowsky where he shares fascinating stories from his life and the many ways to cultivate deep listening skills. You can listen to the full audio recording of the call here. Gayathri Ramachandran: I would love for us to begin at the beginning. I notice that your traditional academic credentials are that of a counselor. I also gather from reading about your work that your introduction to shamanism was as a young child, through your great aunt Soshie, a self-proclaimed dreamer who taught you her spiritual practices of dreaming to the spirits as a form of healing work. Could you broadly trace for us how this early childhood introduction to shamanism led up to your academic training as a therapist and your chosen calling as a shamanic healer? Myron Eshowsky: Ok. I think I'll start by telling some of my story. When I was a year and a half old, I was proclaimed clinically dead, then revived. After that incident, my family described me as an “odd child.” I could respond to people’s inner thoughts. People couldn’t understand how. My great aunt, who was a Jewish woman practicing a very old tradition of healing, began to notice my gift. She took me aside and taught me what she called, dreaming. She showed me where she went to talk to spirits directly. The spirits gave her information she would use to guide herself and others. Primarily, she was a plant doctor. She talked to spirits through plants. But she told me that she was teaching me these dreaming things because it was something I needed to learn. She said it would help me, but I should never talk about it. I kept it secret for a long time. I actually wasn't diagnosed as severely hearing-impaired until I was six years old, because my family thought I was living in my own little world. When I went through first grade, I was flunking because I wasn't able to follow what was going on. At that point, I was diagnosed. Because I grew up in an area with extreme poverty and anti-semitism, I spent a lot of my childhood living in nature. I would enter the dream state my Aunt taught me. I lived more in the spirit world than this world. Most of my relationships were with helping spirits. And that’s what Shamanism is about. But I didn't even know that word until I was an adult. When I was seventeen, I went off to college, to Indiana University in Bloomington. At that time, they were starting the first Native American studies department in the United States. A friend of mine in the class encouraged me to participate. The class at that time was taught by Joseph Epes Brown, assisted by a Lakota medicine man whose name was Ben Black Elk. Ben was the son of the famous Nicholas Black Elk, of the book ‘Black Elk Speaks’. I went to this class; we sat in circle. The leader did a ceremony. I sat and observed. I was extremely shy. But at the end of the ceremony, he came up to me and said, "Oh, you already know how to do this." I of course, went, "No, no, no". But in the midst of that dialogue he invited me to spend the rest of the year in class where he did ceremony all year long. Because of my own wounding; because I’m oriented towards social activism; I went to school to be a lawyer. When I went to law school, I lasted three days -- probably the world’s shortest record for duration of law school attendance! The first day of law school, it was over 100 degrees Fahrenheit and humid. Dan Quayle, who was later to become the Vice President of the United States, came up to me and said I was a disgrace. Everyone was dressed in a suit and I was wearing cut off shorts and a T-shirt. I just knew I didn't belong there. I was in a crisis at that point; I went through many university catalogs and came across the idea of becoming a psychologist. I thought, 'What if this is a way I can help people?’ That's what launched into therapy work. Gayathri: Oh, thank you, that was such a beautiful arc you traced. I love the story of how you were three days in law school! Did you formally study shamanism at some point with other shamans, or was your only training from your great aunt? Myron: The ultimate training for anyone who’s on this path in an authentic way, is from the spirit. A lot of my learning was directly from the spirit and it's always been that way. But sure, through the years I've worked with many shamans from around the world. I was initiated into two different traditions in Africa. I've worked with shamans from Siberia, Central and South America, and Native American shamans. So, there's been a process of cross fertilization which is the norm in this work. Gayathri: When did your family find out about your shamanic skills? Myron: Fairly recently...I grew up in a very large extended family and they all saw me as shy and unusual. Even when I was young, my family was afraid of me in some ways. Part of that fear was because it seemed I was hearing more than just what was being said. So although people were loving, they also pulled away from me. Years later, at a family reunion, it was interesting to talk to some of my older cousins. They remembered my experience of dying. I was one and a half years old and how it changed me by the time I was two. They had stories of how everyone was frightened of me. They reminded me how I was reading the Indianapolis Star every morning. I came to know what was in the news; and I would respond to things my family was thinking. So those kind of things identified me as odd. I didn't really reveal the shamanic part of myself until I was in my late twenties. Certainly because of the suggestion from my great aunt that I shouldn't talk about it. But also there were a number of spiritual events that catalyzed my coming out. It’s a long story! Gayathri: Oh please, let’s hear it! Myron: When I was young, I had a special place. It was a circle of oak trees. I would go there to drum the earth and go into trance. One of my main spiritual teachers kept me sane at that particular juncture in my life. I was in a lot of pain because of hate crimes. When I was eight years old he said to me, "I will be around you always, but I can't be with you directly because you need to learn about patience." I begged him not to leave me, and he said, "No, no, you have to learn about patience." Patience is not one of my strengths. Even now, sixty plus years later (laughs). After that, I didn't see him again. I could feel him. I could hear him in my mind, but I didn't see him. When I was in graduate school, I was required to see clients for internship. I secretly used my spiritual gift. When I moved to Wisconsin, one of the first things that happened was this: I was playing volleyball on a sand barge with some friends. I slipped, was pulled into the undertow and I drowned. Down river, this young woman heard others scream. She pulled me out of the river and did CPR. There standing behind her was my spirit guide, my spirit teacher from my childhood who said to me -- "It's time to come out now." First, I said a very bad swear word to him. The poor woman thought that I was saying it at her, so I had to apologize. But after that experience, because my spirit teacher said, “it's time to come out now,” I starting coming out. It was then, I thought of mixing my shamanic/spiritual healing practice with my psychotherapy. Gayathri: Would you talk a little bit about your method of deep listening as a powerful way towards healing? You have an insight that when we match vibrations, we connect deeply. Can you tell us about your discovery process? Myron: Sure. As I said, I had to learn how to talk and lip read. And the way that I hear is really kind of creative. I can only discern vowels -- a, e, i , o, u and y are the sounds I hear. Other sounds I don't hear at all. I've learned to figure out what someone is saying based on the little bit I hear. I also listen contextually. When I was 6 years old, I began to work with a speech therapist who taught me to put one hand on her throat and one hand on my throat. She had me focus on matching her sound vibrations to help me learn to talk. One of the things I noticed right away was that when we matched vibrations, I became connected with her. It was a feeling of connection in my heart, a subtle feeling of love. But later, when the spirit started teaching me, my great-aunt actually talked about it. One of the things she talked about is that in every person’s body houses sickness songs. If you know these songs, you can heal anyone. The idea of the sickness songs always stuck with me. The spirit started showing me that every illness has its own song, its own vibration. Most illnesses vibrate in a constricted kind of sound. A lot of our illnesses are reactions to trauma we've experienced. We hold subtle responses to trauma in the body. If you can match that -- if you can make harmony with that vibration, then you can do the healing. That's how I started. I witnessed this in Africa. They were teaching children to put the top of their heads together. One person would make a sound like "aaayyyyyeeeee" and the other person would try to match the sound. What I immediately noticed is when we match resonance, resonance increases. In this tribe they taught children this technique to make peace with other human beings. We have to come to a point of harmony. I began to play with that in a lot of my conflict resolution work. I'm going to use a kind of wild story as an example. I was invited to a federal prison outside of Erie, Pennsylvania, to do Shamanic work. I would say that 90% of the people in prison, have trauma history. Their souls have been wounded. They asked me to come and do several days of spiritual development work and healing work with inmates who were in the drug and alcohol treatment program. I worked one morning with 45 inmates. 44 of them were Black, African-American. One was Caucasian. I thought to myself, this looks like a setup to me. But we did a healing ceremony. I did a massive ceremony, to do what's called a soul-retrieval for the men who wanted to bring back parts of their soul that had split because of trauma. After 3 hours, at the end of the program, the one white man came up to me and said, "I hate you. I hate everything about you. I've hated people like you my whole life. But everything you said makes sense. Would you be willing to do a healing for me ?" Myron: He was fierce in his disgust with me. I had to, in that moment take a deep breath, but also had to match him, to be in rhythm with him. I got permission from the prison to meet with him during the lunch break. That's when he told me how much he hated me and why he hated me. Then he went into why he hates Black and why he hates Catholics, and just went down his list. I just sat there in rhythm with him -- breathing in his rhythm, listening in his rhythm, talking in the same kind of pattern and rhythm as him, really just trying to be in harmony with him. He was the former head of the Ku Klux Klan (KKK), imprisoned for murder, church burnings and a bunch of other things. And then I did the healing. He softened. Because I could just be with him in that deep sort of way -- resonating with him, in his pain, anger, and aggressiveness, we connected. For years, he and I communicated by letter. Because he changed. So that was a teaching for me. A teaching that I have witnessed many times, over and over and over again, that in situations that can be hostile, even then, I have to make harmony with what's before me and what's around me. It's hard. Nothing is easy, but I see how important resonance and harmony can be in the most difficult of situations. Gayathri: These stories are so amazing and I was just blown away by the extent to which you are able to keep focus and stay in harmony. But for those of us who are regular folks who don't have the ability to even harmonize, where do we start? How do we listen more deeply? What tools can we use? What signs can we look for as we train ourselves in the art of resonance? Myron: Well, first of all I don't think it's a special gift to be a deep listener. These are skills we can all learn. I had to do a lot of work on myself. I had to be in a place of forgiveness with myself and others, including those who harmed me. I had to work through these things to be able to stay in a place of peace,calm, and commitment. That's the kind of work everybody does. We are all working on ourselves. I think it starts with quieting our minds. We need to learn how to move more slowly. I have to remind myself all the time to be in a state of listening in a slow way. I think of all the elders I have been with. I would talk to them and ask a question. If it was a question they thought was interesting, they would go 'Hmmm'. But if they thought I was saying something that was really off the mark they would go 'Uhhhh'. I always thought that was kind of funny, but then maybe six months later, or two years later, they would start telling me a story that was roughly related to what I had asked them. They let the question come in like a seed and percolate deeply. This is another thing that helped me along the way: I went on a bus trip when I was about twenty years old. There was one seat on the bus next to a woman. We started talking, and I learned she was a professional mime, a student of Marcel Marceau. I was heading back to my hometown of Indianapolis. But I got off the bus with her and spent a whole day in Chicago where she taught me how she would listen to people's bodies and movements. She taught me how to see a movement and notice how it influenced me. This was another way of listening. It’s all organic and natural. There have been studies that show that if you come in harmony with someone, your hearts will beat in the same rhythm. A lot of things happen when we’re listening that we don’t think about. For example, we send and receive. I’ll be walking down a street. I hear somebody in my mind. I turn around and there’s my friend, a block or two behind me. They’re saying, “Oh, there’s Myron!” and I hear them calling me. We all have that ability. My wife will often start to say something and then I hear it, or she’s not even saying anything and I’ll start answering her question. Or she’ll start answering my question before I even say it out loud because there’s a lot of in-speaking that happens naturally when people are close. That’s part of listening too. Those skills develop when we learn to be curious about how somebody else communicates; when we ask how they imagine the world or how do they perceive things? Then, because of my spiritual practices, I hold the belief that everything is alive and everything has a spirit. So if I sit with trees and listen, I will hear something. If I sit with a rock and listen, I will hear something. These are things we can practice. But listening requires that we suspend judgment. We suspend the idea that we're making it up. Gayathri: Yeah, I thought especially that last bit that you said, about suspending judgment and suspending the idea that we’re making it up. For those of us who have lived quite firmly in the materialistic world, all of this, even if we sense something, we just put it in the category of mumbo-jumbo. I think we shut down the ability to listen deeply when we’re suspicious. Also, I think of the inner monologue...There's an essential difference between the voice in your head and really tuning into what another person is sending or saying. So I understand, a lot of the work of deep listening is about healing yourself. Maybe if you clean up the dust, you become a finer instrument. You purify yourself and you become a better receiver. But in this whole question of healing, I’ve often wondered -- how much of it is something we can affect by bringing awareness to the patterns of our mind; and how much of it is grace or guidance coming from the larger interdependent cosmos that enfolds us? What is your opinion on that? Myron: Are you asking how much of it is personal work and how much of it is the larger context of what’s going on in the world and in our families and ancestry? Gayathri: I meant more in the sense of -- because you do so much work with spirit guides and you say a lot of your life’s work is guided, through them -- for those of us who want to invite the same kind of grace in, how do we do that? Myron: Okay. You know, in these traditions, the general belief is that everything is part of the larger community. So when there’s an imbalance in me, it means in a sense that I’m carrying sickness but it also reflects a sickness larger than me. The source of a personal sickness may not be in me. The source may be a reflection of something much larger. This makes sense in terms of environmental toxins...I might have cancer. But environmental toxins contribute to the illness. So we would say yes, I have cancer but it also relates to the cancer in the land. Shamans will often say that asthma relates to trees dying. That’s true because trees purify the air. So when trees die, the air isn’t as pure as it could be. And when the air isn’t pure, we struggle with breathing. That would be a shamanistic way of looking at it. All healing is really a communal issue, a universal family issue, manifesting in some way, in you. Most of the time, it’s an ancestral thing. Trauma is an unhealed issue from previous generations that will continue to ripple through subsequent generations, until the key issues are healed. There’s a very famous study that was done in Israel where they found third and fourth generation post-Holocaust children manifesting post-traumatic stress disorder (PTSD), as early as five years old. They hadn’t been exposed to anything that would explain why they would have PTSD. But they had symptoms such as nightmares and stress. The Dagara people in Burkina Faso often talk about conflict between two people in the tribe. It isn’t seen as a conflict between two people, but rather as a sickness in the whole tribe. If they don’t heal that conflict, it becomes a bigger sickness in the tribe. Gayathri: So based on what you’ve said, given the state of the world today, with the time of the 6th mass extinction, massive climate change, political upheaval, everything -- it definitely feels like the human tribe is in disharmony. So where does someone start to heal? What can any of us do at a spiritual level to heal the Earth? Myron: (laughs) I’m only laughing because it’s such a big question! Myron: I believe we are in a time of what I would call the ‘Great Migration’. As people, we’ve always migrated. But in this particular time, life is becoming uninhabitable because of lack of water, human conflict, and war. We have more people in motion right now than we've ever had in the history of the world. I believe fear is the undercurrent. It’s growing. Usually, when people respond to fear, they respond to fear with constriction. We say we don’t want the ‘other’ here, whoever the other is. The ‘other’ might be Syrian refugees. It might be Africans, it might be Mexicans, it might be Iraqis or Afghani people. A better response would be to believe that we are all interconnected. If we really believe that we are all of the same oneness, then the only choice is to extend welcoming and kindness in any way we can. This is the main thing we can do right now: express a sincere spiritual act of welcoming the stranger. In regards to your question about the Earth itself and what’s happening. I have a story about that. Many years ago, I met Roger Chellis, who was a white South African anti-apartheid attorney. When Mandela came into power, there was no need for him to be an anti-apartheid attorney. So he had to reinvent himself. He reinvented himself by working with some of the tribes in South Africa around regaining their land rights. All of a sudden, there was one cloud in the sky and it started raining. But it only rained on Roger. Roger said, “Is this what you are saying? The Bushmen said, “No, no no. This is just to show you. When we get our land back, it will rain.” So several months later, they got the land back. It rained for six weeks. The grasses grew again. The animals returned. The water hole filled up and the people returned. The reason I like that story is because when we we are in relationship with a place, if we take care of it, if we sing to it and listen to the place, it can come back. I know it’s possible. And I know we have time. Preeta: Thank you so much, Myron. I'd love to take this opportunity to ask you -- you talked about the need for people to do their own work, and specifically the work of forgiveness of self and others who may have harmed them. I wonder if you could tell us a little bit about your own journey in terms of forgiveness, of yourself, and others. Myron: Sure, sure. Because of the violence that I grew up in, even though I have always been a sensitive and kind person, I had what I would call a hate spirit in me. That hate spirit meant I would dream everyday of killing a particular person. Most of the people who did violence to me, by the time I left high school were either dead or in prison. There was only one person left to focus on in my mind. So that’s where my mind went everyday. I thought about killing him. I had a dream that I would go to my tenth high school reunion and shoot him with a gun. About five years after I’d left high school, I was done with graduate school and my father had died. I’d moved to Wisconsin and got word that my mother had cancer. So I drove from Wisconsin back to Indiana. I got to the big 1000 bed hospital where she was staying, got to the sixth level of the parking garage. and parked my car. The person I’d been dreaming about killing showed up in the parking garage. He got out of his car and started yelling at me, using pejorative words and threatening me about how he was going to beat me up again. I just started laughing because I had never had an opportunity to fight one on one. And the more I laughed, the louder he got. And the louder he got, the more I laughed. I was laughing to the point of tears. And then he broke down. He started weeping and ran away. The hate in me disappeared because I felt something for him. Years later, he called me and asked for forgiveness. He was an alcoholic in recovery, doing his amends. Since that moment in that garage, I have never been able to feel hate again. I could only feel forgiveness for what had happened and treat it as learning. In the African tradition I am most aligned with, they believe we should always go to the water spirit and ask for forgiveness because we are all imperfect beings. I often go to the water spirit when I feel like I didn't do my best and I need to work with myself and pray. I certainly will go and ask people to tell me if I have hurt them. I don’t desire to hurt others, but there are times when we hurt others unconsciously. And so I ask for forgiveness. Preeta: Beautiful, and when you say you ask for forgiveness, I assume that is in the spirit world. Or do you actually reach out directly to them? Myron: Directly. I will just say, “What I did there, when I did that, I think I may have hurt you. If I did, I am really sorry. Please forgive me.” And if they have bad feelings, I will sit and listen. It is uncomfortable but I listen. But I do this as a personal practice. Fortunately, I don't have to do it too often (laughs). But I do it, because it is important to me. Preeta: That's great, we have a couple questions that have come in on the live web but before we get to that, I just want to take a moment. I was so moved by your story about being at the federal prison and building a relationship with the man who was the head of the KKK. And you talked about how you had to really get in rhythm with him in every respect-- listening, breathing, speaking. I couldn't help but think that this might be one of those ‘Don't try this at home, kids unless you know how!’ moments. And I'm curious if you could give me a little more detail as to what that really means and how one practices. Myron: First of all, I think it is important that you start from a place of never taking on a challenge that is bigger than you can handle. In Aikido, if the challenge is more than you can handle, you back off. It is really important to know your limits. Spirit will give us the challenge that we are most ready for. And if we are in that state of readiness, then we will be able to handle it. Of course you have to have enough self-awareness to know when to step back. Other than that -- I think one must know how to stay calm, how to stay centered, how to keep your sense of your own power, and not give in to fear. If you practice these things, then I think it gets easier and easier to handle these kinds of situations. Preeta: Thank you. One of the questions that came in on the web was on how to hold trauma. Do you have any insights about that? Myron: Well it's a good question because sometimes when we witness the trauma of others, we get secondary trauma. When this happens, it becomes important to do self-care. I believe that my work for a long time was about healing the world, meaning healing the pain and the suffering in the world. To do that, over time has caused me to witness an unbelievable amount of trauma. There were times when I felt it was more than I could hold. But because of how much I have done, I’ve gotten to a place where I'm generally able to stay present. When I was first dealing with refugees, I met a little boy who was wrapped around a cord in a refugee camp. He was in a fetal position, crying around a tent cord while the other children were playing. He had bruises all around his body because his father who had been tortured, was taking his rage out on his family. I wanted to take that boy home. I brought him some relief. I did healing work in a very subtle way with him and he got lighter and started playing. But the thing is that I really wanted to bring thousands of these children home with me because I made a promise to myself early in my life that I would never let another child suffer the way I had. So I had to kind of back off that promise. When you are exposed to a lot of trauma, then you have to do the best you can at staying present and understanding that sometimes the best thing you can do is just listen. You don’t have to know what to do; just listen. And again, practice self-care. Preeta: Yeah, I'm curious as you're speaking. You've done a lot of interesting peacemaking work throughout the world. You're trained in psychotherapy and you have this amazing spirit gift of healing. How much are you called into situations because of your worldly knowledge of psychotherapy or peacemaking and how much are you called for spiritual healing? Myron: Well, it’s mostly the latter -- the spiritual part. Times have changed in the world. When we have situations that are overwhelming, when people don't know what to do, because the standard models don’t work, systems become more open to anybody who wants to help, rather than just give up. A lot of the situations I have addressed are because others have given up. I use gangs as an example because I worked with gangs for about 25 years or so. The community or the service providers often give up on these children. They believe they’re lost already. So I'll work with teen gang members and inevitably one of the children will say, “Our problems are so big, only God can fix them.” They know the problems are spiritual. So more and more, the invitations I get are because of my spiritual work. Preeta: That’s fabulous. You recently went to the Gandhi 3.0 retreat hosted by ServiceSpace in India and I wonder if you could describe briefly your experience with that. Myron: Uh...well it was interesting because first of all my wife made me promise before I left that I wouldn't show off my spiritual side. Meaning I would just immerse myself in the experience and be present to it. In some ways I held back, but Gandhi 3.0 was a life-altering experience for me. I've never have experienced so much genuine kindness, particularly in regards to my hearing loss. I talk all the time about my hearing loss, but because people see me functioning well in the world, it's like an invisible disability. Over and over again, I had the experience of having people ask me, “Would you like to come over here? Maybe you could hear better.” “I'm not sure if you just heard what they said, but this is what was shared.” There was this tender care of me that moved me to tears. They were amazing people. I fell in love with everybody there. It was a time of great heart. I got inspired. I continue to feel inspired because I deeply appreciate the depth of the work being done already and the bigness of the vision. I think the next step is to move away from history; and move towards something that offers people a genuine relationship and a way of being that nourishes all of us. Gandhi 3.0 was by far the most amazing thing I have ever attended. Preeta: Really, it's beautiful to hear. Umm..you mentioned kind of the beautiful story of growing up and having your Spirit Guide leave you and be present in your dream and then reappear later in your life. Is that Spirit Guide still someone you see? Myron: Yes. I have certain guides that have been with me, my whole life and they’ve been integral to me. They come to me in my dreams, they come to me in my spiritual time. Whatever they tell me has always come to fruition in some way. They tell me what they want me to do next and then it just starts to happen. Preeta: That's fabulous! I would love to ask you to close with sharing with us some of your beautiful shamanic drumming. Before we do that, is there any other advice you can offer those of us who are trying to get in touch with our spirit more and to find our guide. Myron: I don't think there's a simple answer to that question. I think a lot of it is about taking the time and making the space for spirit. Our lives have gotten too busy, so we have to plan time to slow down. I don't think there is one spiritual method that works for everybody. But one thing I think is particularly helpful is to take time in nature. Nature has a way of healing us and teaching us and connecting with us. And if there's any one thing that I would recommend, Preeta, in finding the way that works for you, it would be to spend time in the natural world. Preeta: Wonderful. With that, I wonder, if you can, as we move towards the close of our session together, if you would share some of your beautiful drumming with us. Preeta: Thank you so much. Even through the phone I felt very powerful vibrations. Myron: The drum was happy, so happy drum today! Preeta: Thank you. So just as we close one final question for you: for those who have been very moved and as I am sure everyone is by your words, if someone wants to work with you for personal healing, do you respond to those kind of inquiries? Myron: Yeah, when I am able to, I do. If they look up my name online, they'll find a website with my name and they can email me. Myron: Well..one of the things I am working on right now with the refugee project is trying to develop some cooperative economic model for Syrian mothers who have to generate income through a craft, art, cookbook that we are creating. If anyone that can help with web design ideas or how to create projects like this, it would be great to have your input. Another project is a plan to put on a major music concert in 2019 for the refugees in Jordan, with Nimo Patel. We would like to bring more and more musicians, both from the region and from outside, who want to be part of that. Any way that anybody can support these visions would be great. Preeta: Fabulous! Myron and Gayathri, thank you so much for a beautiful conversation. Myron, thank you for sharing your phenomenal journey with us. Syndicated from Awakin Calls. 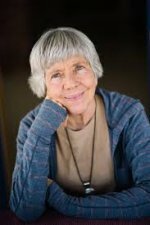 This interview was edited by Bonnie Rose, the Senior Minister at the The Ventura Center for Spiritual Living. Their mission is “be love, share love, serve love.” Bonnie also encourages greater love in the world through her blog, www.dailybeloved.org. Moderator Gayathri Ramachandran is a gardener, by hand and by heart, and a scientist by training. She is presently on a quest to align her life with her calling. 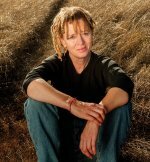 As a way towards tapping into and honoring the sacred feminine, she has spent the last few years engaging in meditative practices, learning non-violent communication, cooking traditional recipes, and working in her organic garden with close to 100 species of native trees, shrubs and herbs. She volunteers with various ServiceSpace projects and communal tree planting initiatives in her native Chennai in India.